What makes a romance novel a romance? How do you write a kissing book? 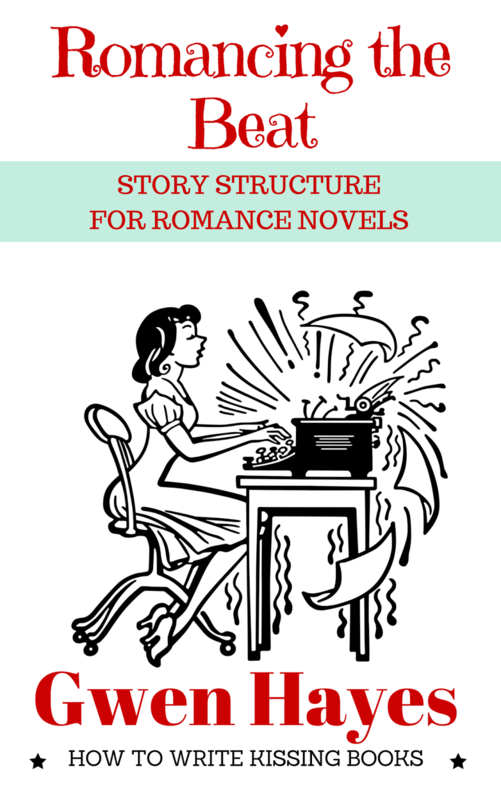 Writing a well-structured romance isn’t the same as writing any other genre—something the popular novel and screenwriting guides don’t address. The romance arc is made up of its own story beats, and the external plot and theme need to be braided to the romance arc—not the other way around. 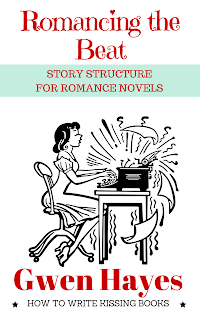 Told in conversational (and often irreverent) prose, Romancing the Beat can be read like you are sitting down to coffee with romance editor and author Gwen Hayes while she explains story structure. The way she does with her clients. Some of whom are regular inhabitants of the New York Times and USA Today bestseller lists. Romancing the Beat is a recipe, not a rigid system. The beats don’t care if you plot or outline before you write, or if you pants your way through the drafts and do a “beat check” when you’re revising. Pantsers and plotters are both welcome. So sit down, grab a cuppa, and let's talk about kissing books. Finally, a book that looks at the beats in the romance arc. The classic movie/hero/action arcs just don't fit romance, and while they've been awkwardly twisted to make them fit, the result has been painfully awkward at best. This book sweeps that all away. It uses some of the terminology of other books but creates a framework of its own that is spot on. The hero's journey is great for books that have romantic elements, but Hayes' book finally gives me a framework I can use for romance. I would love to see beat sheets or worksheets created from the framework from this book. Thanks for the praise! If you happen to be a Scrivener user, I just uploaded my template that goes with the book here: http://gwenhayes.com/romancing_the_beat/ It's free. Great Book, I've set up the beats in an excel sheet and outline in that. Makes writing Romance much more approachable for a guy author. Thank you so much! Good luck with your writing. I combined the advice in this book with several other guides to creating a working outline and it sped up the writing process enormously for me. I liked that it was specific to the romance genre (unlike most others). Thank you. Gwen Hayes is a participant in the Amazon Services LLC Associates Program, an affiliate advertising program designed to provide a means for sites to earn advertising fees by advertising and linking to amazon.com. Amazon, the Amazon logo, AmazonSupply, and the AmazonSupply logo are trademarks of Amazon.com, Inc. or its affiliates. @ Gwen Hayes 2013-2016. Picture Window theme. Powered by Blogger.